The Much Improved Lenovo Yoga Tab 3 Pro Announced! Home / lenovo / lenovo yoga tab 3 pro / mobile / news / yoga tab 3 pro ph / yoga tab 3 pro price / yoga tab 3 pro specs / The Much Improved Lenovo Yoga Tab 3 Pro Announced! 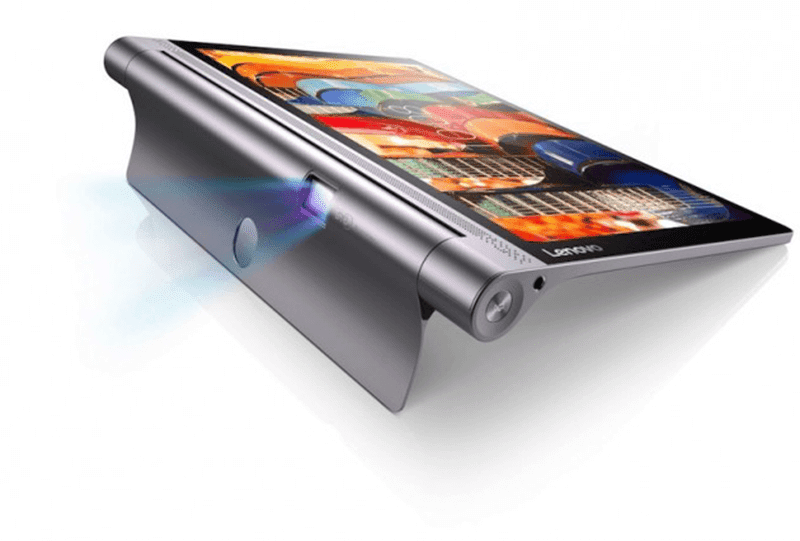 At the IFA 2015, Lenovo just launched the follow up to the Yoga Tab 2 Pro, the Yoga Tab 3 Pro! A 10.1 inch tablet with a gorgeous QHD display, Intel Atom x5 Z8500 quad core processor and an improve built in projector that has the ability to beam a screen up to 70 inches wide! It also has 2 GB of RAM, 16 GB / 32 GB ROM that's expandable up to 128 GB, 13 MP rear camera, 5 MP selfie camera, LTE connectivity and a huge 10,200 mAh of battery with fast charging technology. The said device might arrive in the Philippines this November. Let's all watch out for it.